Use the forecast versus actual results to find business problems and make strategic, fiscally sound decisions to support the growth of the business. This is a great method for business management, and it’s a fantastic service offering for accountants and other professionals offering small business advisory services. 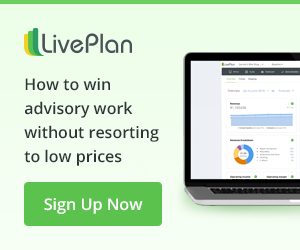 We call it Strategic Advising at LivePlan, and it’s the fastest growing component in the umbrella of trusted advisor services. Beyond learning how to do the advising work, the issue for many firms is how to offer and price your Strategic Advising services. While advising small business clients is primarily service-based work, like all work in a service firm, it’s best offered and priced by value, not by the hour. This is because every client values things differently and you’ll never be able to predict it. Allowing the client to choose from a set menu of options makes the most sense because it removes the need for you to predict—instead the client can choose what they value. But accounting firms have a long history of offering time-based pricing that isn’t menu-driven. Accounting firms are asking: How do I turn my hourly service work into a value-based offering that’s repeatable and profitable? I’ve had the fortune of spending many years working in engineering companies. Like accounting, engineering is essentially service-based work. But engineering firms are experts at something that ensures they are maximally profitable: productization. They are always looking for repeat need and scalability. When they find it, they build it as a product and offer it to clients as one of many solutions. They are taking advantage of the internal efficiencies that come from repeated work: scale and expertise. In addition, they are able to price and sell the product easier to their clients. Accounting firms can behave in a similar way and get the same advantages. Let’s explore this more. Productizing your services makes your organization (or firm) more healthy in three major areas: sales and marketing, operations, and profitability. Products are much easier to communicate and market than are hourly billing services, in part because they’re contained. They have specific qualities that have specific value propositions. Attempting to explain the unique differentiators of time and materials services (or hourly billing work) is next to impossible because it’s simply hours of work. It can be hard to translate those hours of work into something that your client really needs: a specific solution to their very real problem. A product is unique, and done right, is memorable. A well-defined product allows a customer to identify with it as a solution to meet their needs. Try this: think about a cheeseburger. Now, think about a Five Guys cheeseburger. See?! I know exactly what that is, and exactly how I want to customize it to make it my own! How about random coffee from anyplace, versus Starbucks House Blend (or Dunkin Donuts if you live in the NE—I know you)! It’s more than just their branding—it’s that they have a product that is consistent. You know what to expect. Now take that example and fit it into your accounting firm’s service offerings. Imagine if you were offering your clients products that solve their problems or meet their unique value-based needs, instead of simply performing hourly tasks for them every month. This is especially relevant for niche firms who want to focus on solutions for similar clients. When you develop your Strategic Advising services as a product, your organization will become more efficient and organized. Sounds straightforward, but let’s unpack it. All products are made up of individual components. Most tangible products have parts and equipment and a small labor component—a bill of materials. In the case of our cheeseburger analogy above, the components are the raw food ingredients plus the labor required to cook and build. Your advisory services product has components too, but it’s mostly labor and only some materials (in the form of software licenses, training, and so on). Your Strategic Advising “bill of materials” is the sum of all your labor tasks, and the software and human capital necessary in order to deliver. As you scope and refine your Strategic Advising product, your organization will become more operationally efficient because the work will be very clear. 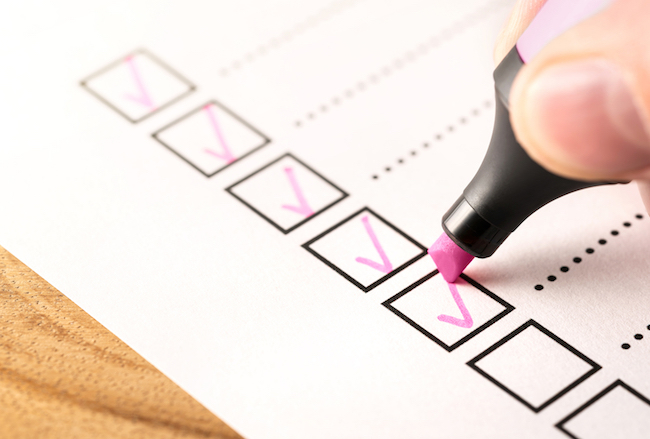 Your “bill of materials” will act as a task list. You will know what work tasks happen when, and what resources will be necessary in order to deliver the product. If you are lacking a resource to meet the product need, you have an easy way to recognize the problem and correct it. This work is called capacity planning. In our cheeseburger analogy, it might be the cheese or lettuce, but in the case of your products, it might be a skill gap. Maybe you don’t have the right training in a certain area to deliver the labor required. With an itemized list in place, you can easily recognize that problem and correct, just like a recipe at Five Guys! In this way, your product organizes your firm’s work—making it defined and clear for your employees. What’s interesting is this result doesn’t hinder creativity; it actually enhances it. When employees understand their work and the work of their peers, and they know who is responsible for what (known as workflow), it allows them to be free to push the boundaries and grow. You can only ever push the boundaries if you know where they are. And humans, by nature, like to grow. Products become more profitable when their gross margin increases because they are charged at a flat fee. Your Strategic Advising product is no different, (although you will hopefully use value-based billing, versus fixed fee). The labor component will become more profitable as the work becomes more efficient. Indeed, a long-term goal of your advisory work should be to spend less and less time with each client while providing more and more value. In Strategic Advising, this is very doable because as you become more familiar with your client’s goals and how their month to month operation affects performance, you will take less and less time on the analysis and be able to provide more insights. The non-labor resources, like software licenses and possibly training, should become less expensive for you as well as you add volume over time. By contrast, you will never be able to maximize your profit margin in the hourly billing scenario. Your efficiencies will never lead to a greater margin. Plus, the dynamic of the billable hour can lead to two major hazards: innate scope creep due to lack of definition or standards, and worst of all, it can actually discourage your client from engaging with you, because they know that every time they do, they will be billed. It’s the opposite of what you want to happen in your client relationship! Advisors must have open lines of communication and know their clients well. Don’t let this focus on standardization make you feel that you can’t provide individualized attention to each client. You absolutely can! By streamlining the mechanics of the process (like monthly forecast updates and reporting schedules) you can focus on the things that do need individual attention, like each client’s unique goals, and how you are providing financial data and insights to help them achieve those goals. Here’s a broad look at how to develop any service offering into a product. For Strategic Advising services, we offer the LivePlan Method business process—a standardized approach to delivering advisory services. Identify the problem and solution. Look across your current hourly service offerings for repeat client need, and identify a solution. Define the solution: Take the solution that repeats most often, and matches your own firm’s skills sets, and call that the standardized solution for your firm. This can be one to two paragraphs explaining the solution and its scope. Identify work tasks and other resources required to complete and deliver the solution. Source software, human capital, and other resources to deliver that set of work. Try it out. The next time you have a client with a problem that fits your newly developed solution, offer your new “product.” This allows you to try out your product with a real client in real time. Pilot the product to enough clients that you clean up anything that is confusing or nonstandard. Eventually, that solution will become a standardized product. Develop marketing and “packaging” around this product. Things like branding, messaging, website landing pages, brochures, and so on. Gain efficiency—and grow profits. Over time, as you become more efficient at producing the product (your work tasks become optimized), the gross margins on your product will grow. Assess for growth opportunity. When gross margins start to become maximized and you feel growth is slowing, tweak the product a bit, enhance it, to allow for further growth and a higher price. The LivePlan Method offers a very defined set of phases and tasks, to act as your standard solution and become your product. We offer a host of resources and an online training platform here. I encourage you to think of all your service offerings in this way, not just Strategic Advising. Define what it is you specialize in, call it a solution set for your client, treat it as a product, stay strict to your standard scope, and show the client how your solution will solve their problem—keeping in mind that your goal is to standardize on something that you can scale. This will help you increase profits, and also give your client peace of mind that they will know what to expect. What are the special market needs in your area? Who are your resources and partners that will help round out your solution? What are the solution sets (the tools, the software) that you need in order to get that work done? How do those solutions work together to help you deliver your service? Most importantly, will those solution sets (especially the software) help you to be scalable? Is it something that aids you in establishing standard processes for making your work more efficient? When you determine that, you wrap your product around it. Maybe you have a few different products; it’s likely that you do. Use them to build your menu of value-based choices for your client. And be mindful of profitability on various products. It can be short-sighted to focus only on which clients are the most profitable—you need to know which product offerings are profitable. Maybe your best client is just on the wrong product with you. Set yourself up to be strategic! I hear more and more at conferences and in trade publications that accountants should “fire their bad clients, and focus only on the ‘good’ ones!” This advice worries me. A focus on productization is a better way to transform your firm. It’s healthier for your firm and your clients. Productization pivots you naturally to value-based billing because you’ll have something to offer that a client can place value on. Once you have clearly-defined products, arranging them in a menu-based offering becomes very straightforward, and that is the basis for value-based billing. By offering value-based products, your clients will be forced to align with your products or leave. Productization acts as a natural filter for any clients that don’t want the solution you offer. Organic attrition is much better than forced. You’ll be left with a more profitable business because you’ll have your products set up in a way that allows you to track their margin and understand their profit. 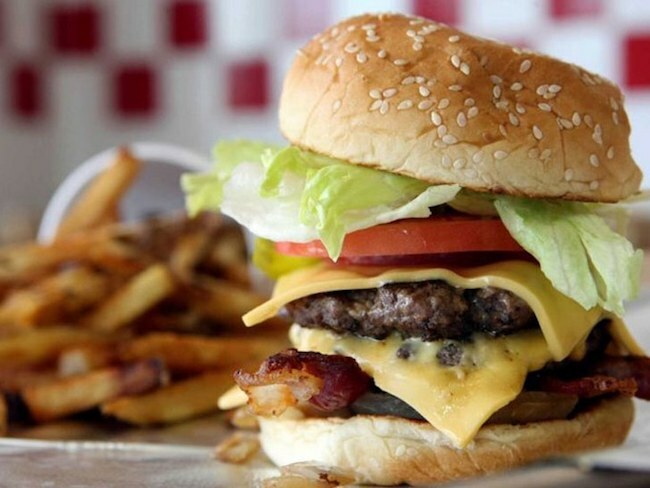 Think of it this way: Five Guys is not worried about firing bad customers. People either go or don’t because they know exactly what they are going to get. This same effect can happen in your firm when you establish and communicate the products you want to sell. 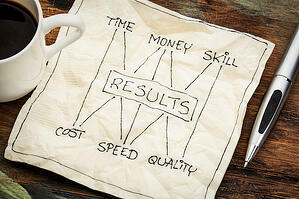 Productizing your services will enable you to transform your practice through a strategic process. For more advice on sales tactics for advisory, see this fantastic article: How to Sell Advisory Services With Confidence.